All serious offers considered - vendors are keen for a new venture. Off highway village destination, popular with local farming families, equine stud employees, utility maintenance crews, passenger vehicles, cyclists, fishermen, motor cyclists. 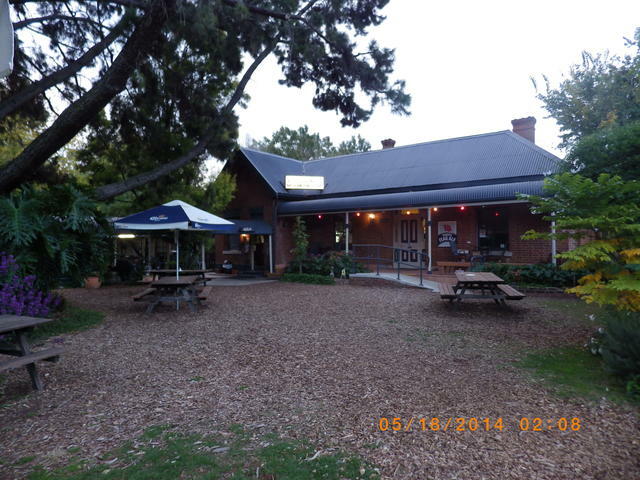 A busy tourist stop where comfort, food and drink are enjoyed by visitors to the World Heritage Listed “Barrington Tops National Park” and Australias most famous rural properties Packers Ellerston Station. A variety of accommodation bookings by social clubs and participants and spectators at polo cross events and many other activities. Tourist buses book morning and afternoon teas, snacks and meals whilst en route to nearby live marsupial displays at the Devil Ark, the Barrington Tops breeding facility for the endangered Tasmanian Devil which meets & returns to the hotel. Eat in the comfortable dining room or al fresco on the new verandah or under the old pine tree in the beer garden. Regular events such as birthday celebrations, weddings, the odd wake, camp draughts, gymkhanas and the October Archery championships keep the working couple and their local staff busy through the spring and autumn months. The welcoming open fire in the bar draws clients inside as the hotel does become quieter in early colder months until the hordes arrive to see snow often for the first time when weekends can become as hectic as high summer. A recent February big weekend, saw gross food sales again break the $6,000 barrier. Extra monthly income is now derived from paid management and light maintenance of the council camping ground located across the river, making it easier for locals and campers to cross via the still operational and soon to be refurbished suspension bridge bringing more paying customers to the bar and café. On the way enjoying the rejuvenated river bank now cleared of a hundred years of accumulated old refrigeration equipment has been cleared.